IIFA 2017 is here! The most talked about event of the tinsel town is live, and its humongous glamour and starriness is taking over not only New York but also the whole India. At the Metlife stadium in the New York City, we saw stars like Hrithik Roshan, Varun Dhawan, Sushant Singh Rajput, Salman Khan, Kriti Sanon, Alia Bhatt, Katrina Kaif, among others, rock the stage. Karan Johar and Saif Ali Khan hosted the IIFA 2017. The winners have been announced. Alia Bhatt won the Best Actor Female for her role in 'Udta Punjab' and for the same film Shahid Kapoor won the Best Actor Award Male. Sonam Kapoor starrer, 'Neerja' bagged the Best Film of the year. Best director went to Aniruddha Roy Chowdhury for 'Pink'. Best Supporting Actor Male was adjudged to Anupam Kher for his role in 'M.S. Dhoni: An Untold Story'. Best Supporting Actor Female went to Shabana Azmi for 'Neerja'. 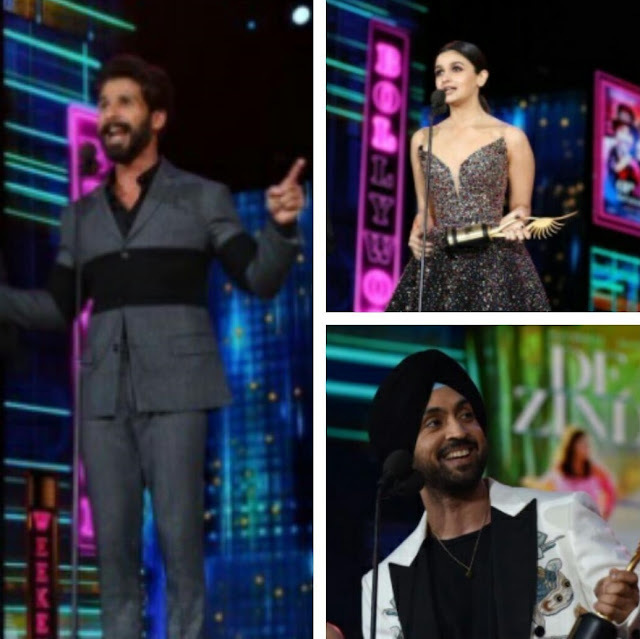 Best Debut Male went to Punjabi singer Diljit Dosanjh for his role of a cop in 'Udta Punjab' and female debutante was Disha Patani for her role of Dhoni’s first girlfriend in 'M.S. Dhoni: An Untold Story'.